The Ghoutas attack was the 29th attack which was followed by the Syrian government’s signing on the Chemical Weapons Convention (CWC) treaty. Later, the government forces attacked on 28 August, 2013 the Damascene neighborhood: Joubar; onlyseven days after the Ghoutas attacks. It seemed as if the Syrian government was testing the National Community’s seriousness.This attack was the 30th. Afterwards, Government forces didn’t use any chemical weapons until the beginning of 2014 which had 17 chemical attacks.In total, 47 chemical attacks have been documentedto the date of this report based on the indications and information that we were able to verify. Since the beginning of 2014, government forces attacked using gases, thought to be poison, in 17 different occasions, targetingeight different Syrian areas. Additionally, barrel bombs containing liquidchlorine were used against four areas: Kafrzyta, Talmanas, At-Taman’a, and Atshan. It’s noticed that Kafar-Zeeta has been attacked the most as it was targeted in five different occasions in less than 10 days. 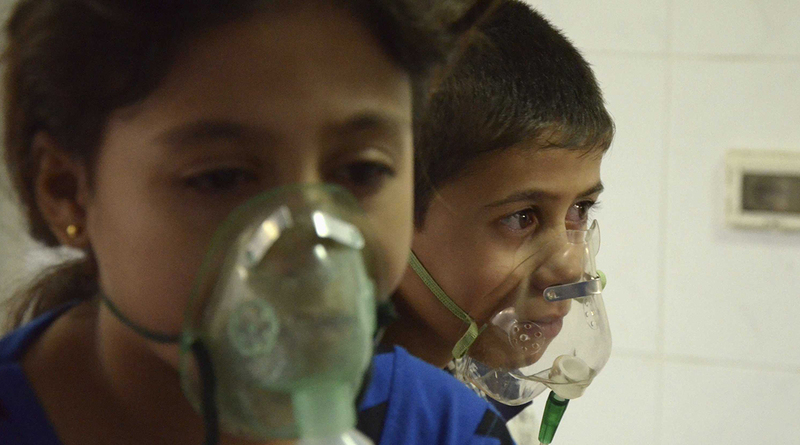 According to SNHR’s documenting team, the chemical attacks in 2014 killed 29 victims including four children and three women, and injured no less than 670 people in total. While poison gases attackskilled 974 people at least and injured 11830. Since SNHR’s team wasn’t able to visit the location of the incident, and considering the network’s limited financial resources and present circumstances, we relied in this report, as all of the previous report the we published about the use of chemical weapons by the Syrian government, on survivors’ testimonies, eyewitness, and the pictures and video footages that we verified after we had received it from our certified activists. This report includes five testimonies in addition to the verified pictures and video footages that were sent by cooperating activists from inside the city as no one of our team managed to visit the targeted location. We verified 14 video footages. Please know that we changed the eyewitnesses’ names according to their own will.